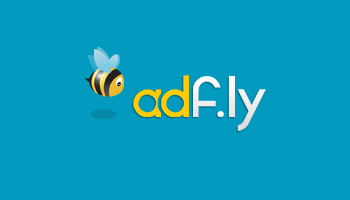 Now days, Adfly is one of the most popular url shortener service on the web. The best thing of this service is that you can earn money through this service and it is the main reason of it's popularity. Nowadays it is providing simple api to made this service more easy. In this post you will show how we can make short url using Adfly api and PHP. To use Adfly API at first you need to get your API key and your user id. If you are a Adfly member you can get these by following way.. Here you will fond a link something like this.. Here 7abccd03cc3005835dc61dd956b583ca is your API key and 111111 is your user id. can you explain clearly .? Hi there, do you think is possible to integrate it with a download manager script ? Its very good. Thanks for sharing this. Thanks for sharing this post to us. This is really informative about computers. ok. On my server allow_url_fopen is disabled. Maybe have another alternative with curl? How can i add a text field and a submit button with this? This would allow me to enter links in a text box, click submit and adfly links will be returned. Thanks for sharing informative article!!! Your article helped me a lot to understand the importance of PHP Training Center in Chennai to secure lucrative job in web design and development industry. Thanks for that.You sharing very helpful information..It's really understand for PHP Developer..
As the world is constantly getting advanced digitally for every brand or a company it is very important to mark their presence online. not only to mark their presence they also have to be very active on the web so that they can have a conversation with their clients/customers and solve their problems or improve their service. Hi author I actually teach web designing, and after I read this article I was able to clarify a doubt and this helped me understanding a certain concept better and so I could teach my students well. Thank you. Quite informative post on AdFly URL shortener!! Are you looking to make cash from your visitors by popup advertisments? In case you do, did you ever use Pop Cash? Did you know you can create short links with OUO and get dollars from every click on your shortened links. the post is good !!!!!!!!!!!! Extremely enlightening substance. Digital marketing is the best to promote our product. We mainly focus on SMO and SEO in digital marketing. The main task is to analyze the keyword and to bring the site at the top position for particular keyword. Truly an awesome post. Keep up your astonishing work and continue sharing. 100% job oriented training & placements in chennai. Best software training in chennai. dạy tiếng anh cho doanh nghiệpđó, lúc đó cô lo lắng sợ đứa bé có chuyện. Vì sao bây giờ lại muốn bỏ đứa bé? Could you provide an adfly daily payment request PHP function? I've combed through the entire API docs, but all I could find was data, not requests. Helpful post. Thanks for sharing. Thanks for posting this informative article.keep updating.. It's really an informative blog..Thanks for giving..
Thanking you for given this information.I very much enjoyed this article. more openings php jobs in hyderabad.